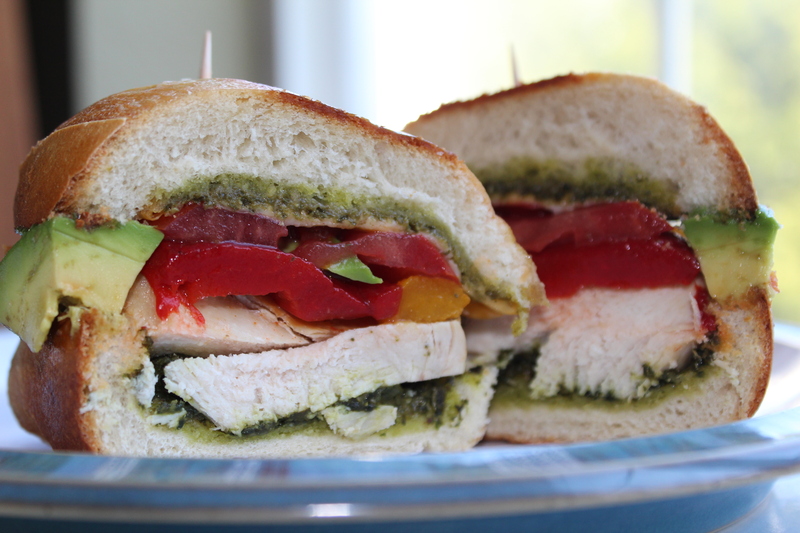 This is a fantastic sandwich for a fall afternoon. 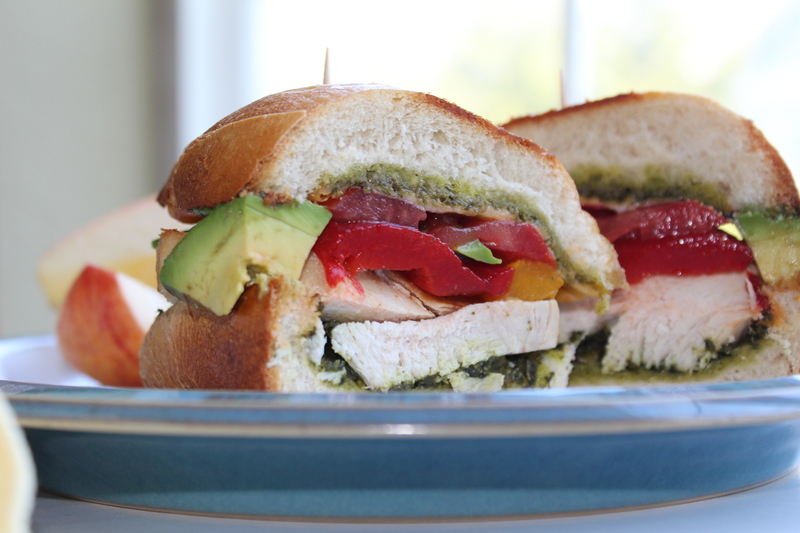 You only need a few ingredients and a few moments and your sandwich is ready. Plus, if you pair it with an end-of-the-summer fruit, like apples, you’ll definitely have a fall meal. (Or even have it with a small bowl of soup.) Add as many or as few vegetables as you like. For me, I like a loaded sandwich, so I topped it with everything that I had in my fridge. Coat chicken generously with seasoning salt and cook on a skillet, turning it so it doesn’t burn, until it is fully cooked, slightly browned, and there is no pink. 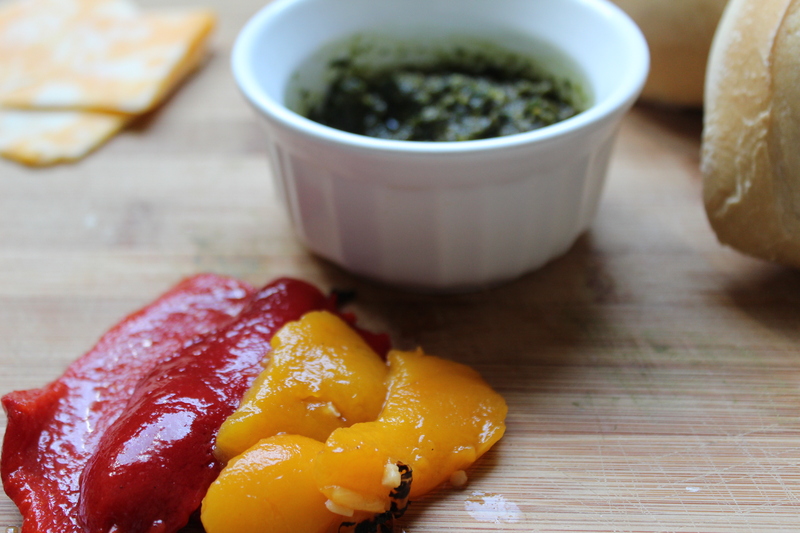 Remove to a cutting board and cut vertically into ½-inch slices. Set aside. 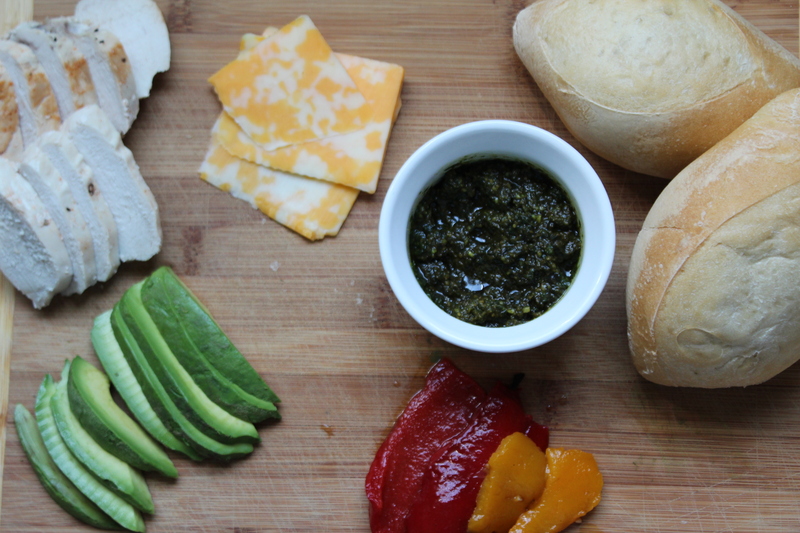 Slice the hoagie rolls and smear pesto on top of each slice. Place onto a baking sheet. On one side, place the sliced cheese, and on the other side, place the sliced chicken. Put in the oven for 6-8 minutes, or until the cheese is melted. Take out of the oven and place the rolls onto a plate. 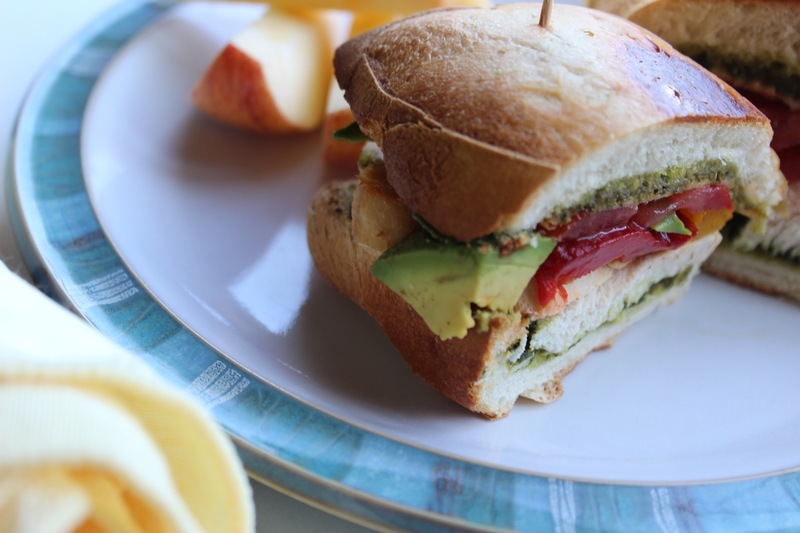 Top with peppers, avocado, and tomatoes and then take the top part of the hoagie roll and press down. Insert a toothpick on each side and slice the sandwich diagonally. Enjoy with chips, any type of salad (potato, green, fruit, etc. ), fruit, or a bowl of soup.